This section contains the abstracts of each chapter, as they appear in the forthcoming book “Routledge Handbook on Informal Urbanisation”, to be published in the Fall 2018. Abstract:This chapter examines mechanisms involved in the production of poorly serviced, predominantly Muslim settlements in Ahmedabad, India, through a process blatant enough to have been labelled ‘ghettoization’. The overarching question driving our inquiry is: how have ethno-religious ‘ghettos’, expressly recognized and labelled as such, come to be and grow in a constitutionally secular country where discriminatory exclusion from access to housing is not permitted by law? While much has been written about the nature of Muslim marginalization that has taken place in Ahmedabad, there is no overarching narrative that explains how and why these mechanisms of exclusion have been able to embed ghettoization in the city’s identity. We locate practices of exclusion that have produced segregation by religion in Ahmedabad first within the logic of liberalization and then within the ideology of nationalism. We also offer accounts of how this segregation in turn has influenced formal and informal ways of further constructing the city and discuss the exclusionary nature of these newer practices. Our intent in doing so is to illustrate how persistent and growing practices of exclusion have driven urbanization in Ahmedabad despite legal, formal structures ostensibly meant to prevent such exclusion. Arguing that this persistence is indicative of how informal practices have become integral to processes of urban governance over time, we suggest that ghettoization in Ahmedabad is an instance of informality becoming increasingly normalised as a form of governance. Ankara was established as a planned capital city in 1923, yet in the 1960s over half of its population lived in informal settlements. This study questions and outlines the mutual influences between different governmental policies and the right-seeking strategies of the inhabitants of informal housing and explores the consequences for the social and political organisation of the city. This chapter demonstrates that through this process of mutual bargaining, informal housing turned into a highly commoditized and politicized product. Governments adopted clientelistic approaches when they recognised informal dwellers as a voting power and as source of cheap labour for the developing economy. Moreover, starting from the 1980s through the 2000s, redevelopment in those areas was seen by developers as an easy way to increase profits. As a consequence, informal housing dwellers managed to gain legitimate rights and managed also to negotiate multiple development rights and economic gains, in exchange for their votes. This has in turn led to the persistence of informality in Ankara. This study indicates that informality is not a realm outside the state, but completely interwoven with it. Abstract:This chapter discusses informal settlements in five capital cities in the Balkans: Belgrade (Serbia); Pristina (Kosovo); Sarajevo (Bosnia and Herzegovina); Skopje (Macedonia); and Tirana (Albania). Here informal settlements contain mostly housing construction of good quality, sometimes on legally-owned land. The illegal nature of these developments is associated with the lack of formal urban plans and/or building permits. Drawing on interviews of local experts, the chapter aims to provide a better understanding of the mutual relationship, perception, and perhaps stereotyping between informal settlement dwellers and planning experts and governments in the Balkan post-socialist context. It elucidates the divisions in the views of planning experts, government officials, and members of the public on the informal settlement issue. While legalization is a contested policy, critiques are advanced rather peacefully and few demolitions have taken place. In none of these countries has housing legalization led to major antagonism or political friction. Tolerance prevails in the Balkans. This chapter examines the various struggles, strategies, and policies that the Shia Muslim community put in place in order to challenge and, ultimately, alter the elite-driven structure of power of Lebanon, using the process of informal urbanisation of Dahiye, the southern suburbs of the capital Beirut as an illustrative case. The chapter ultimately attempts to problematize the interpretation of informality either as emancipatory or as a result of political exclusion. Indeed, in the case of Beirut, informality developed on a continuum of requests, claims, and struggles that made of the southern suburbs of the city an alternative space for democratisation and social participation of a previously marginalized and stigmatized community. In the case under scrutiny, the elite leading the nation-buildingprocess was not only characterized by common political and economic values, but also by common ethno-religious characteristics. Hence, the creation of the State reinforced and institutionalized a sectarian divide between the dominant Christian Maronite elite and the newly co-opted Sunni bourgeoisie, on one side, and the remaining ethno-religious groups, on the other. This process paved the way for the establishment of what we can call, using Yiftachel’s definition, anethnocratic regime (2006). From being a silent minority among the historically poorest and most marginalized of the country, the Shia community of Lebanon progressively assumed the role of a key national player, in part because Dahiye has been able to complicate the rigid core-periphery relation enshrined into the structure of the State and it represents today a semi-periphery able to question the legitimacy of the core. Keywords: urban informality, urban citizenship, Shia of Lebanon, social movements, urban marginality. What is at stake in the struggle for housing rights in the Belo Horizonte metropolitan area? In this chapter, we analyze the reality of two new urban occupations in the city, Dandara and Camilo Torres, defined as territorial identities that engage in planned and collective possession of unused, underutilized, or undeveloped urban spaces. As opposed to previously transient occupations, these are permanent and allow dwellers to exercise their rights to housing and to the city. By exploring the differences between new and old urban occupations and the way in which the Brazilian judicial system has ruled regarding conflicts between the right to property and housing rights, we believe it is possible to make the following conclusions: In contrast with the old informal settlements which evolved over time in the Belo Horizonte metropolitan area, the new types of urban occupation are characterized by the actions of highly coordinated social movements that, amongst other demands, assert citizens’ right to adequate housing and the exercising of their right to the city,. Therefore, this new type of urban occupations constitute an alternative for deprived people who are excluded from accessing the benefits of the broader city. The historical civil rights struggles involving social movements and civil society in Brazil are based on principles that have been set out in a legal framework expressed in the 1988 Brazilian Constitution, which stipulates that the city must be democratically managed and the social function of property must be fulfilled. This legal framework is a new tool for social rights struggles in Brazil and activism for the right to the city has the potential to generate awareness of rights and social empowerment. Greater Cairo hosts different typologies of settlements that, due to illegal land occupation or construction, are referred to as informal and cover more than a third of the city’s footprint, hosting almost two thirds of the population. This chapter outlines the reasons for Cairo’s informal growth and the official political attitude towards informal urbanisation over time, until the 2011 revolution as a crucial turning point. After the revolution, building on the attempted reconnection of physical and political spaces, Cairo witnessed an exponential rise of community initiatives that reclaim the right to the city and public spaces, sparkling a debate on a new possible narrative that reconciles informal neighbourhoods in the metropolitan system. The case of Ard al-Liwa is discussed as an example of these contested rights and spaces, with citizens claiming a role in deciding about their neighbourhood and initial attempts of participatory mapping processes. Ard al-Liwa is a fast-growing informal settlement of closely packed towers rapidly devouring agricultural land and characterized by substandard infrastructure, scarce public spaces and services and poor connection to the rest of the city. Yet, its strategic position attracts conflicting interests. The international attention that these conflicts have raised and the public mobilization around the future of the area are the ingredients of a telling example of the meandering path for the right to an inclusive Cairo. The chapter discusses an on-going urban conflict involving residents’ struggle to remain in a consolidated informal settlement located in a disputed high-end neighbourhood of Fortaleza, Brazil and reflects upon the role of urban informality in Brazilian democracy. It adopts the perspective of the residents to tell the story of three successive waves of state-led evictions between early 1990s and 2016, relating that story to the overall development of the city. The story of the Trilha do Senhor community supports the claim that the discussions on the political meaning of informal urbanization must be conducted in the broader context of institutional and planning practices, their political character, and the general process of production of urban space. The case reveals the oppressive nature of urban informality, as it imposes conditions of sub-citizenship even in the few instances where informal dwellers have conquered basic services. On the other hand, the case also reveals insurgency against a deeply entrenched exclusionary urban development logic: It has become increasingly harder and politically taxing for the authorities to ignore the reality of informal residents and to overlook their rights. This change, we argue, is not due to a benevolent action by the State, but rather, to a process of progressive empowerment of the residents, in which education, connectivity and collective action play an important role. Keywords: insurgent citizenship, social-spatial exclusion, Fortaleza urban informality, urban space production, Brazil 2014 World Cup. ‘Urban villages’ are a phenomenon unique to China. They house millions of rural-to-urban migrants from neighbouring provinces in search of better opportunities in the city but with only limited access to the formal housing market. ‘Urban villages’ differ from other informal settlements in Southeast Asia insofar as 1) they enjoy collective land use rights, reducing the struggles for access to resources, and 2) the negotiating power of these villages is relatively strong due to their high level of legitimacy and their land resources. In this chapter, we argue that informal urbanization needs to be discussed beyond issues of poverty and physical space in order to gain a better understanding of the political space of negotiation around urbanization that reflects the reality in most cities of the global South. Recognizing the complexity of what has been defined as ‘informality’, this chapter suggests looking at the underlying processes that characterize informal urbanization in southern China, in which resources are negotiated by means of legitimacy and authority to obtain power. The south Chinese megacity of Guangzhou provides an example of how urbanization is negotiated in a complex multi-stakeholder setting, allowing informal urbanization to emerge and, at times, drive growth (spatially and economically). Keywords: Urban villages, urbanizing villages, resources-legitimacy-power, political space, hybrid regimes, Guangzhou, informal dynamics. In Guayaquil, the biggest city of Ecuador, 70 per cent of urban dwellers live in settlements with an informal origin. A gap in how urbanization in Guayaquil is conceptualized derives from limited understanding onthe actual genesis of so-called ‘informal’ settlements, which remain neglected by more institutionalised planning processes.In a city with high environmental vulnerability, conflicting administrative competencies have shaped the urban landscape by allowing, tolerating and even promoting unplanned urban development. This chapter offers insight on how mixesof formal and informal processes of urban development have evolved. The past, present and future of such everyday city-making practices are unraveled, illustrating how informality is not only practiced by the urban poor, but also by the middle classes and by the State. By focusing on the narratives from inhabitants of Monte Sinai – a peripheral expansion area of Guayaquil – and Socio Vivienda – a state-led social housing project – the chapter tells the story of the citizen’sstruggle toobtain affordable homes and, more generally, their struggle for the right to the city. Drawing on the informally developed housing sector in Hanoi, this chapter explores what it means to secure space in a post-reform communist city that has recently integrated with the global economy. The study sheds light on the means by which citizens have secured living space with relatively few constraints by the party-state. Building on discourses that highlight how political engagement works through multiple levels, as a continuity between various spheres of life, this chapter shows how ordinary citizens employ non-confrontational tactics in order to achieve their right to the city, and have succeeded in changing government legislations and practices, ultimately leading to normalization of informal housing in Hanoi. The chapter concludes by situating how the Hanoi case contributes to the understanding of emerging forms of political engagements in our global urban world. This chapter explores the interface between informality and national politics in Harare, the capital city of Zimbabwe. We argue that urban land is used by opposing political parties as a currency with which to buy political loyalty from citizens and this spurs informality in the city, in a context of democratic deficit. The Government of Zimbabwe has used its power to regularize informal settlements accommodating predominantly supporters of the ruling party, the Zimbabwe African National Union Patriotic Front (Zanu-PF), thus bypassing the opposition-led council of the City of Harare. Regularization is a strategy to reward those active in politics and also loyal to the ruling party. Simultaneously, this process plays a vital role in allowing citizens to occupy land and set foot in the city. Whilst the use (and abuse) of space in Harare is political and largely determined by the interests of the ruling party, social movements, and housing cooperatives also play into these dynamics, carving out socio-political spaces for the urban poor to navigate the hitherto rigidly controlled housing development arena. As a result, there are signs of changing attitudes towards slum upgrading and legalization in Harare. This chapter investigates the multifaceted politics of housing informality in Jerusalem arising from the ongoing Israeli-Palestinian conflict over the city. It stresses the concomitant existence of different kinds of informality in different areas of the city: Palestinian neighborhoods in East Jerusalem lying on the Israeli (western) side of the ‘security barrier’, Palestinian neighborhoods in East Jerusalem lying on the West Bank (eastern) side of the barrier, and Jewish neighborhoods in both East and West Jerusalem. Illegal housing in these different areas differs in both qualitative and quantitative terms, as well as from the point of view of its causes and political meanings. Five main reasons for, and meanings of, housing informality in the Holy City are highlighted, and the contribution of the Jerusalem case to the understanding of the politics of informality in other cities worldwide is discussed. This chapter focuses on the case of informal settlements in the city of Johannesburg – a sprawling city spatially fragmented largely along economic and racial lines_ by stressing the critical lens of urban political ecology and centering the right-to-the-city discourse on socio-environmental rights. While informal settlements in the city are characterized by the absence of basic services and the presence of serious environmental risks (soil and water pollution, frequent fires, landslides and floods) they also host highly adaptive and resilient communities exhibiting alternative, bottom-up practices, which seek community-driven responses to the numerous challenges they face. Some of these interesting counter practices, and particularly bottom-up environmental and sustainable development processes, form the specific focus of the chapter by exploring how informality seeks to respond to the challenges mentioned above. By looking at the Kya Sands informal settlement, studied over 5 years by the researchers, the chapter explores the tensions underlined by constant growth and huge environmental challenges, in which a mix of practices embedded both in radical incrementalism and open political struggle provide fertile soil for alternatives. Critically exploring practices and responses of informal communities to social needs and environmental hazards the chapter shows how this can help re-conceptualize the Right to the City discourse (Lefebvre, 1968) in an era and context where urbanization processes and fragile environmental conditions are worsening existing patterns of urban inequalities. This chapter unpacks informal urbanization in Khartoum, the capital of Sudan, and explains the current limited action space for the city’s most marginalized residents to enter Sudan’s political realm. In acknowledgement of the complexities underlying urban informality in postcolonial cities, the chapter begins by addressing the multifaceted nature of urban informality in the context of the non-democratic Sudanese polity, highlighting the main drivers and characteristics of informal urbanization, as well as the specific spatial manifestations of urban socio-spatial exclusion in Khartoum. The chapter focuses on Internally Displaced Persons (IDPs) who are the most vulnerable and marginalized segment of Khartoum’s informal dwellers. Decades of failed urban planning approaches, coupled with the state’s politicized oppressive attitude and control-based responses to informality, have led to protracted marginality that is preventing IDPs from claiming any right to the city. In the absence of the requisite policies and institutions, IDPs realize the repressive political realities that govern their daily struggles and forcibly construct their life narratives. The chapter highlights how, with the exception of a few cases in which IDPs litigated the state through international bodies for human rights, the prevailing attitude towards informal settlements has resulted in a state of paralyzed collective agency, which is preventing IDPs, as well as the growing population of urban poor in Khartoum, from fruitfully pursuing their positive and negative rights. Nevertheless, this chapter attempts to conclude on a hopeful note, drawing attention to how the mere urban presence of IDPs, the majority of whom are displaced from Sudan’s disenfranchised margins, is in itself political and may lead to their political inclusion. Being within the limits and control of the state that excluded them in the first place, IDPs cannot explicitly struggle for their rights. However, their daily survival practices may offer an opportunity to create the extended action space required for future emancipatory politics and transformation. This article traces the emergence and decline of urban populism in the relationship between informal urban settlements and the Peruvian state. We set the foundational moments of this relationship on the political negotiation that followed the land invasion of Pamplona and the subsequent resettlement and foundation of Villa El Salvador, in the desert south of Lima, in May 1971. We argue that in the juncture of the left-leaning military dictatorship that ruled Peru between 1968 and 1975, the case of Villa El Salvador set the tone for almost two decades of relationships between informal neighbourhoods and the state. Incorporating new ideas about squatter settlements as spaces of hope rather than misery, and acknowledging a new demographic and socio-political context inside Peruvian barriadas, the new model included and represented the collective demands of self-organized urban communities, from then on called pueblos jóvenes, under a recurrent Latin American populist style. A model for a new political relationship and a radical political community, Villa El Salvador challenged the authoritarian-clientelistic status quo. However, since the late 1980s, the combined challenges of political violence and fragmentation, economic collapse, neoliberal reform, and authoritarianism have weakened its grassroots communal political base and shifted the focus of local politics towards individualized and increasingly market-oriented demands. Still, the populist experience of Villa El Salvador looms large over the history and present of informal urbanization in Peru. This chapter provides an insight into the meaning of informal urbanisation in the Islamic Republic of Iran’s system of government that emanates from a dual legal mechanism – constitutional and Sharia law. The Islamic Republic represents a relatively new type of political system in countries such as Iran, Pakistan, and Afghanistan. This research seeks a new meaning for informal urbanisation in this unique socio-economic and political context, provides insights into how marginalised residents use the duality of legal mechanisms to claim their rights to the city, and in particular, how it influences the process of democratisation in Iran. This chapter also investigates the role of Astan-e-Qods Razavi (AQR), a religious organisation, and its interactions with the Road and Urban Development Organisation Khorasan Razavi (RUDKR), which represents formal planning in informal settlements. Critical theories, including the political economy of space, are deployed to investigate the informal settlements around the holy city of Mashhad. Medellin’s aspiration for becoming a global benchmark in urban innovation urges a critical account of the ways in which this model frames the politics of informality. The local state plays a key decision-making role in infrastructure provision and urban growth management. Here we explore how the politics of informality play out in Medellin by looking at the interplay between state-led upgrading, focusing particularly on the Green Belt Project in Comuna 8, in the central- east area of Medellin, and the parallel everyday citizens’ politics in informal settlements. We argue that the politics of informality operate as an ensemble of governmental technologies that strategically use denial, self-provision or monumentalisation of infrastructure as a means for selectively legitimising or criminalising citizens’ claims over space. This chapter discusses the current state of informal urbanization in Mumbai, and describes both the top-down and bottom-up movements shaping the city’s informal settlements, focusing on housing policies, spatial form, and the civil rights being claimed through informal urbanisation. It describes how large sections of the city’s urban poor have been excluded both in physical terms as well as in terms of civil rights from the rest of the city, resulting in a large portion of the city being built informally. Secondly, it traces the major approaches towards informal urbanization adopted by various governments in Mumbai, wherein the supply of affordable housing in the city has been handed over to the private sector with the state acting merely as a facilitator in the process. The paper delves deeper into the workings of the Slum Rehabilitation Scheme (SRS) introduced in 1995 and describes why the current model has largely failed to respond to the living and working needs of communities, and how it has in most cases simply led to dramatic increases in densities without the adequate provision of basic services and amenities, so crucial for integrating communities with the rest of the city. And lastly, the paper centres the debate regarding the application of the SRS around the proposed redevelopment of Dharavi – arguably Asia’s largest and most contested slum, while also throwing light on the large number of grassroots movements that exist in Dharavi and elsewhere, who are resisting market forces by actively using India’s democratic set-up to fight for the rights of slum dwellers with the aim of improving their living conditions through self-organization, community empowerment and small scale upgrading. This chapter focuses on manifestations of informality in Nairobi’s tenement housing, rather than its slums. We chose to focus on informal tenement housing because it gives us the opportunity to explore another aspect of informal urbanization, whereby informality is understood as a dynamic process which occupies a fluid space between legality and illegality (McFarlane, 2012; Roy, 2009a; 2001; Yiftachel, 2009). One similarity between informal settlements and sub-standard tenement housing is that they offer affordable accommodation and access to urban opportunities to citizens. In both cases, however, this housing is often available in dense, overcrowded conditions, lacking in basic services and infrastructure. Socio-politically, they embody the unequal power relations between newly arrived migrants (tenants) and landlords, within an environment of tacit neglect by the State. This attitude encourages further exploitation and neglect that nurtures feelings of disenfranchisement and uncertainty among tenants. The chapter unpacks these issues, beginning by framing a brief theoretical background. It then proceeds to map the social, political and economic environments within which tenements are produced in Nairobi, before exploring a case study to illustrate and discuss these issues. We then conclude with a reflection on the implications of tenement’s informality on local and global understandings of urban informality. The chapter demonstrates that tenements feature varied aspects of urban informality that pose simultaneous benefits and challenges for tenants and necessitate further attention from policy and researchers. This chapter explores the factors that contribute to informal urbanization in the aftermath of a major natural disaster, and how citizens use this event to claim their rights and (re)shape their own homes. To approach this topic, we focus on the on-going reconstruction in Port-au-Prince, Haiti, and more specifically, the striking example of one informal settlement called ‘Canaan.’ Over the course of six years, hundreds of thousands of disaster-affected people have flocked to Canaan with high hopes for a more viable way of living — especially in comparison to the untenable housing crisis and exploitative rental situation in the city of Port-au-Prince. Our chapter examines the political and social meanings of Haiti’s post-disaster informal urbanisation, analysing the phenomenon of mass squatter movements and reconstruction from both a historical and spatial (reconstruction) perspective. As part of our analysis, we draw into the discussion a critique of international humanitarianism and its formal and legalistic methods of intervention. Finally, we analyse a case in Haiti that allows us to interrogate what post-disaster informal urbanisation looks like from the eyes of displaced citizens. It is through this lens of agency and collective action that we encourage more appreciation for the efforts and gains made by the citizens of Port au Prince when rebuilding their houses informally and with little help from the State. This appraisal is important in light of the commonly held disdain for informal settlements and squatter communities among the Haitian government and some humanitarian actors, as their existence contravenes domestic law, planning norms, and global visions of the reconstructed city. Keywords: Right to Housing, Squatting, Humanitarian Responses, Post-disaster, Haiti. 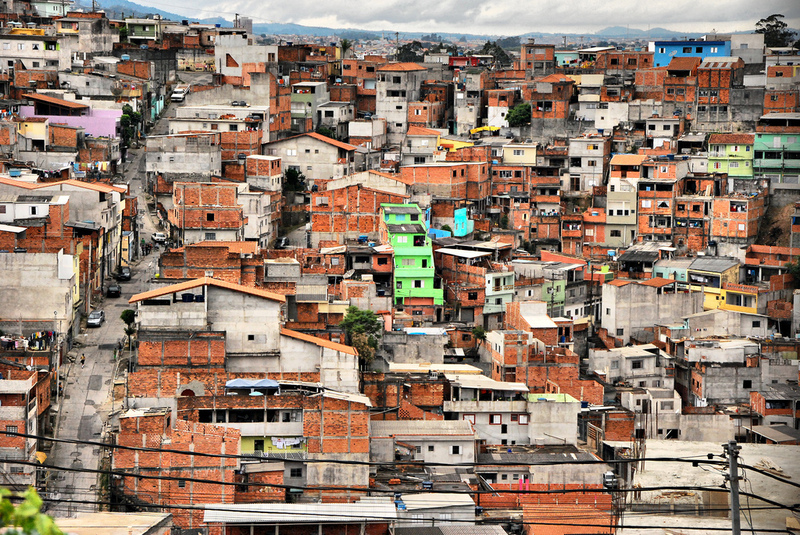 The objective of this article is to present and analyze the current strategies of the public sector in Brazil in terms of tackling issues of so-called ‘urban informality’, with regards to the occupation of urban land by low-income citizens for housing purposes. Tackling these issues translates into policies, programmes, and/or initiatives understood as ‘land tenure regularisation programmes’. The article debates the problems and contradictions present in the conception and carrying out of such programs. As an empirical reference for this debate, we use the case of the metropolitan area of Rio de Janeiro, which consists of 21 municipalities around the city of Rio de Janeiro. To allow a more in-depth study of the case, the analysis was structured into three distinct settings, corresponding to the three sub-regions identified by the author in this metropolitan area. Each sub-region congregates groups of municipalities with shared territorial and socioeconomic characteristics. As a result, this article provides insight on the state of the art of the land tenure regularisation policy in Brazil, bringing into the debate illustrative examples of some of the contemporary issues involved in tackling informality around the world. Keywords: land tenure regularisation, Rio de Janeiro, favelas, precarious settlements, low-income settlements; right to housing. This chapter elaborates on a peculiar type of interstitial urbanization happening in a major metropolis of the Global South, to inquire the particular political agency that resides exactly in-between divergent but nevertheless intertwined and interdependent forces of urban development. The case study of a precarious dwelling typology in central São Paulo known as cortiçoswill allow to explore interstitial informal spaces, wedged between ‘formal’ urban projects (encompassing here urban policies, planning mechanisms and renewal projects) and ‘informal’ urbanization processes (covering spontaneous occupations, extra-legal constructions and politics of anticipation). The cortiços will be interrogated as liminal spaces,continuously betwixt and between legality and illegality, centrality and marginality, inclusiveness and exclusiveness, invisibility and exposure. While extensive scholarship continues to discuss peripheral informal urbanization, the dispersed and less tangible occurrence of informal slum settlements inside the formally consolidated areas of the city has been studied very little, thereby rather neglecting the political agency these spaces engender. By focussing exactly on the different claims on rights that stem from those ambivalent fissures in the central city, this study seeks to contribute to ongoing attempts challenging dichotomous paradigms of formality and informality. It builds therefore on literature and fieldwork, carried-out in collaboration with housing movements, human rights associations, and NGOs in São Paulo’s central area. Abstract:The city centre of São Paulo is increasingly a key site for local housing movements to challenge the rules and practices of spatial injustice in Brazil. In a context where housing for low-income groups is in short supply and, critically, continues to be characterised by highly skewed social and spatial distribution, informally occupied buildings have emerged as laboratories for the production of novel ways of inhabiting the city. Using the lens of ‘pedagogy of confrontation’, this chapter examines the practices and outcomes of one particular occupation: Ocupação Marconi, where since 2012, 130 households have been inhabiting the building Edificio Manoel in central São Paulo. The chapter argues that ongoing inner city occupations demonstrate possible alternatives to the prevailing modes of conceiving and imagining urban change, and urban renewal specifically. As such the chapter outlines an approach to regeneration that engages processes of self-production and self-management as a means to achieve dignified homes and contest exclusionary urbanisation. This chapter examines the interactions between an informal settlers’ movement and the state in transitional and mixed political state positions, ranging from authoritarian to bureaucratic and democratic in Seoul, the capital of South Korea. The strategies of informal settlers and the urban poor for securing housing have changed in response to the changing positions of the state, and vice versa. The housing rights movements have achieved their claims for entitlement and public housing provision. However, new forms of housing poverty in Seoul show that past claims and the strategies of informal settlers have limitations in sustaining the gains for the mid-to-long term. We explored the limitations of these social movements, and the influence of developmentalism, an ideology that has remained consistent in South Korea while its political regimes have changed. Housing for the urban poor is still highly insecure, and their political space in decision-making for urban (re)development is still very restricted. This case highlights that it is critical for social movements to address the underlying causes of housing insecurity and governance failures, beyond claim-making and entitlement, in order for their gains to be sustainable. Slum dwellers are active agents and makers of the city often ignored by other stakeholders. This chapter utilises primary and secondary data collected over two years to analyse the trajectory, strategies and tactics of Kalijawi, a recently created network of slum residents in Yogyakarta, Indonesia, fighting for their needs to be heard. The organisational skills and active citizenship demonstrated by the membership of Kalijawi, enables them to undertake strategic actions and form alliances to improve their lives and contribute to the city. While the lack of formal land tenure represents an obstacle for them to negotiate with the government, this shared vulnerability is their starting point to come together as a collective claiming for their rights. The key finding is that over their five years of existence, Kalijawi has developed tactics to achieve internal strength and external visibility as producers of their city, ultimately being able to improve their material and non-material living conditions. This case reveals that, despite the lack of formal land tenure, slum dwellers can be active and engaged citizens in their cities. Keywords: Yogyakarta, organizational skills, active citizenship.